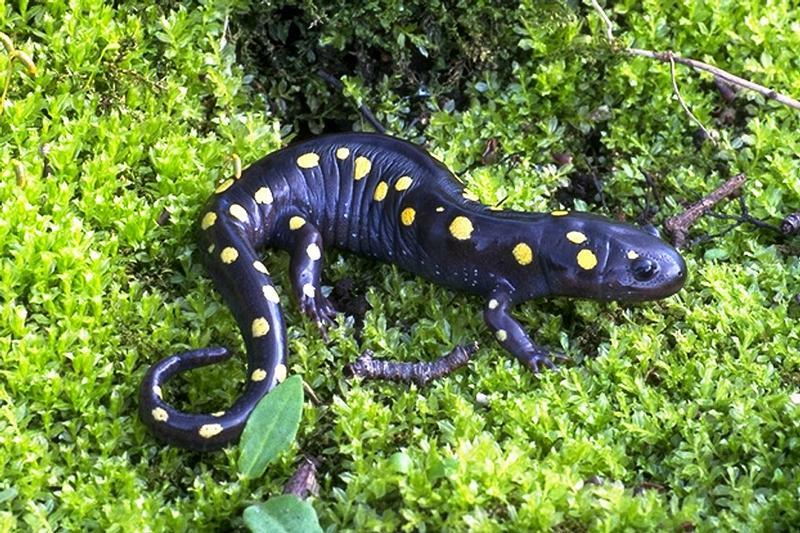 In late March or early April, a warm rain will fall and spotted salamanders will emerge from underground in the evening to return to vernal pools to breed. This phenomenon is known as “Big Night,” and it’s a great teaching moment for kids. Here are some suggestions for how to introduce children to Big Night. Read Big Night for Salamanders, by Sarah Marwil Lamstein. This wonderful picture book, illustrated by Carol Benioff, was a Smithsonian Notable Book for Children 2010. It describes how a boy and his parents help salamanders cross a busy road on a rainy night, so they can mate and lay eggs in a vernal pool. While educational, the book is also a good story that is engaging for children. My daughter (age 4) immediately wanted to go out and help too. The author's website has a downloadable classroom guide. Connect with experts and enthusiasts. Join an organized vernal pool activity, such as a family workshop or walk, through nonprofit groups like Mass Audubon, which maintains anonline calendar of events. Get a field guide to the animals of vernal pools and learn much more through the Vernal Pool Association, an educational group based in Massachusetts that encourages the appreciation, protection, and interdisciplinary study of vernal pools, particularly by students. The association maintains a website, blog, Facebook page, and listserv. Visit a known vernal pool. Some vernal pools are certified and marked. In the Minute Man National Historical Park, which spans the towns of Lexington, Lincoln, and Concord, Mass., the Vernal Pool Trail is a short spur trail near the parking lot by Hartwell’s Tavern. In Amherst, Mass., two tunnels were built under Henry Street in the late 1980s so that frogs, toads, and salamanders can reach a nearby vernal pool safely. You can read more about the Amherst tunnels on this Federal Highway Administration page and see a short video onMassLive.com. Look for signs of vernal pools on your hikes. This is a great game for a young detective. If it is spring, listen for an odd quacking sound in the woods—it’s the courtship call of male wood frogs. Wood frogs are one of the species, like spotted salamanders, that gather in vernal pools to reproduce. 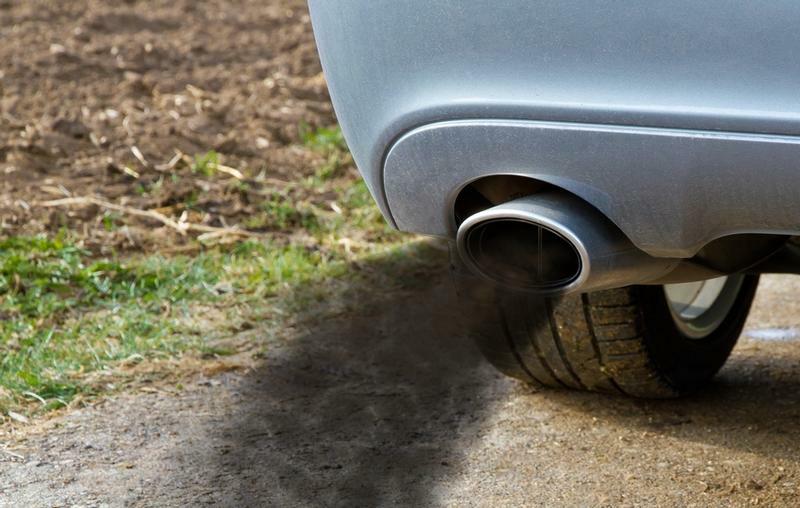 Kubel also recommends looking for depressions in the earth that might hold water and noticing any concentration of shrubs such as winterberry in the forest understory, which may indicate the presence of a wetland. Go out with a flashlight on Big Night. Once you know where vernal pools are in your region, you can head out on the first rainy night in late winter or early spring when the temperature rises to 40 degrees or so. Spotted salamanders should be starting their trek, and you and the kids may be lucky enough to spot them—or even help them across the road. Remind the kids to get their hands damp before picking up spotted salamanders, to help the salamanders’ skin remain moist. Photos thanks to the Vernal Pool Association.